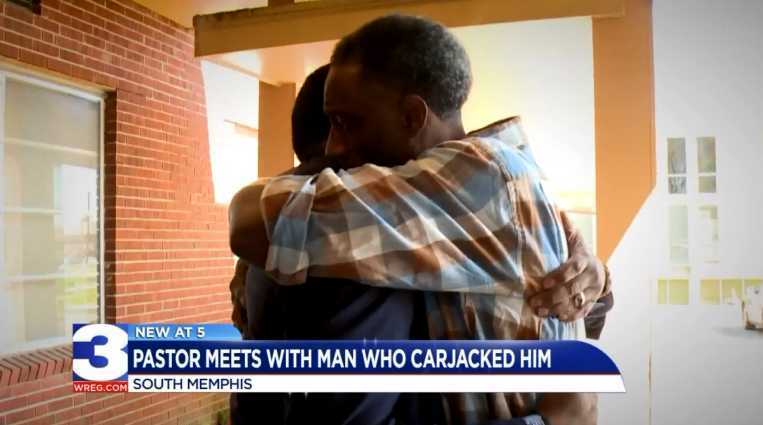 MEMPHIS, Tenn. (WREG-TV) — A Frayser pastor came face-to-face with the man who carjacked him nearly two years ago. Pastor Ricky Floyd of Pursuit of God Church says he’s been anxiously waiting for an arrest, but this wasn’t how he imagined it would play out. “It’s a chapter that closed and an open chapter at the same time,” said Floyd. It was September 2016 when the pastor put air in his tire at a South Memphis gas station. He watched a stranger hop into his driver’s seat, hit the gas and drag him across the parking lot.